On Wednesday, March 28, the Office of Student Engagement (OSE) distributed nearly 200 Independence Passes to students through its SEPTA lottery program. 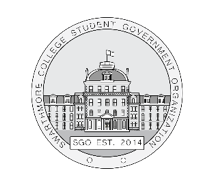 Extra funds from the Student Government Organization (SGO) enabled a two-fold increase in passes distributed. SGO initiated this expansion, allocating a portion of its remaining budget to OSE’s transportation initiative. Indeed, the lottery program has been very popular with Swarthmore students. Application numbers have remained steadily high throughout the 2017/2018 academic year, with an average of 250-350 applications –– representing over 500 different students –– per lottery. OSE, up until Wednesday, was able to provide 95 passes every two weeks, funded by a $10,000 gift from the President’s Office and a $5,000 gift from the Dean of Students. The extra funding provided by SGO has added 105 passes to the remaining three lotteries of the spring semester, including the March 28 lottery, and the recent April 12 lottery. SGO’s involvement with OSE is just one of a few ways it is trying to expand access to goods and services around campus. In early February, Pipkin and the SGO Executive Board worked with the Student Budget Committee (SBC) and SBC Chair Roman Shemakov ’20 to launch the “SEPTA Initiative,” which subsidizes student organization excursions into Philadelphia. “I will … say that there can be more expected this and next semester from SGO concerning transportation,” Pipkin wrote. OSE plans on refining its own SEPTA subsidy program, albeit without changing increasing funding levels on their end.